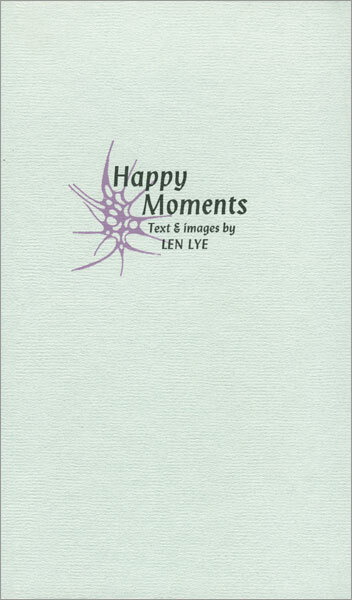 Happy Moments is the first complete publication of Len Lye’s remarkable autobiographical texts written in New York in the 1960s. 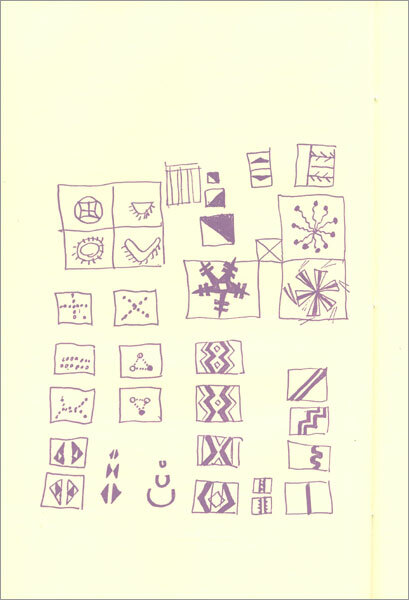 The 21 texts (plus Lye’s introduction) are accompanied by eight previously unpublished drawings or ‘doodles’ as Lye called them. 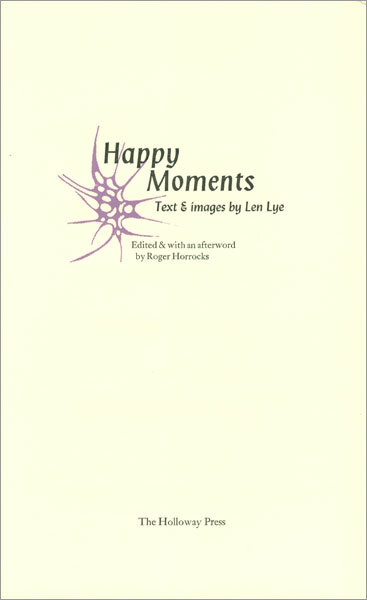 The book is edited and with an afterword by Roger Horrocks, author of the definitive Len Lye: a biography (Auckland University Press, 2001). Len Lye (1901-1980) was born in Christchurch and lived in New Zealand until the age of 21. Apart from brief return visits towards the end of his life in 1968 and 1977 Lye spent the rest of his life abroad. After short periods in Australia and Samoa he went to London in 1926, and lived there until 1944 when he moved to New York where he lived for the remainder of his life. He gained an international reputation as a film-maker, painter and kinetic sculptor. Lye was an enthusiastic writer throughout his life and was the author of a book No Trouble, a collection of his idiosyncratic letters published at the Seizen Press by his friends Robert Graves and Laura Riding in Majorca in 1930 utilising much the same letterpress technology as The Holloway Press. 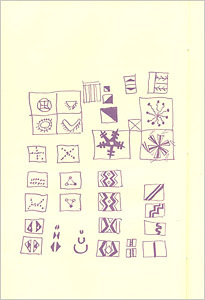 A selection of his writing, Figures in Motion, edited by Wystan Curnow and Roger Horrocks—including memoirs, manifestos and essays—was posthumously published in 1984 by Auckland University Press. 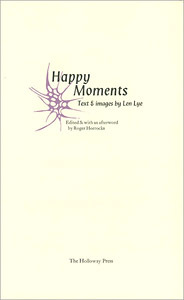 It included some of the material included in Happy Moments but this is the first complete collection of Lye’s radiant and forceful memories of his childhood in New Zealand and his early efforts at formulating his unique theory of art. Described by the poet Alistair Reid as ‘beautifully transparent and heart-stopping’, Happy Moments will be of great interest to admirers of Lye’s sculpture and films, and to anyone who appreciates good writing. 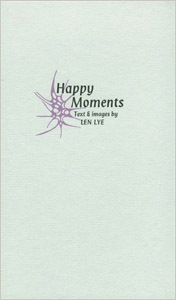 Happy Moments is designed, letter press printed on an Asbern cylinder press, using metal types, and bound by Tara McLeod at The Holloway Press. The text is 12 pt Janson, set in Linotype by John Denny, Puriri Press. Titles are handset in 18pt Lydian italic designed by Warren Chappell. The images are printed from photopolymer plates made by Nippy Graphix. The paper is Evergreen ivory 104gsm, cover paper is Gainsborough blueweave and the end papers Stardream sapphire.